Pizza Pizza! I remember the Little Caesars commercials since I was a kid and have been eating for that long too! I can recall many family nights and birthday parties when I lived at home with my parents that always included Little Caesars. Its good pizza at a awesome price. Now that I am a mom I love to take my son to Little Caesars. 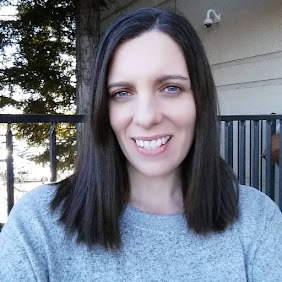 We have one close to my house and my son and I often grab a $5 HOT-N-READY Pizza and a netflix movie for a super fun and low cost night of fun. My son can clearly say "Pizza" its one of his favorite foods. For $5 I can afford to treat him to Pizza anytime I want. Its a great solution to not wanting to cook and for grabbing one at the last minute since it is ready to take as soon as you get there. 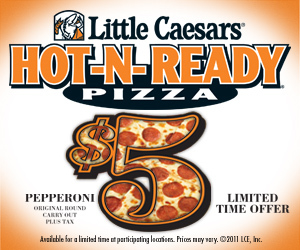 Right now you can get a $5 HOT-N-READY 14" Large pepperoni pizza at a Little Caesars near you. No waiting No calling ahead and No limit! 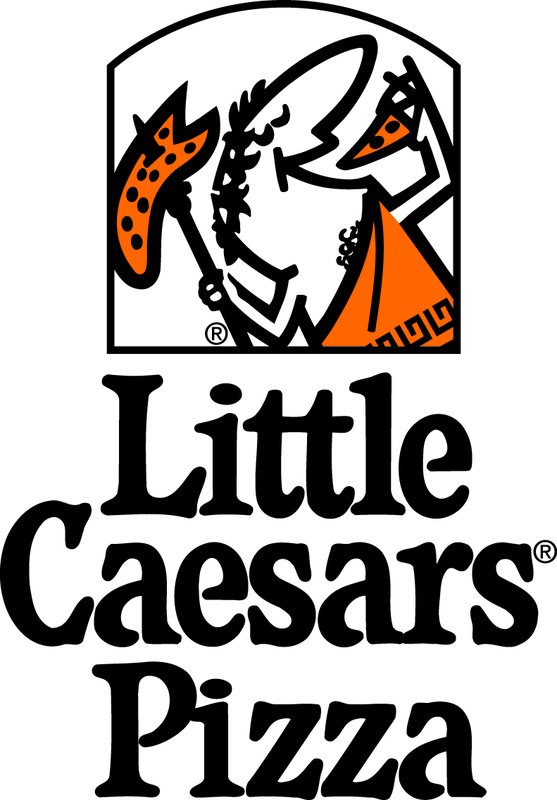 To find a Little Caesars Pizza near you the Store Locator makes it simple to find a $5 dinner! *Limited to US residents; 18 years old and above. Giveaway starts January 27, 2012 and ends on February 10th, 2012 at midnight PST. Winner will be emailed and has 48 hours to respond before another winner is selected. I was not paid for this giveaway or post I was provided a $5 L.C. gift card for free. The opinions on this item are 100% mine and may vary from others. The sponsor is responsible for providing the prize. I like Little Caesar's on FB with my username Mary Happymommy. My favorite topping is Canadian Bacon. i like LC on fb! I like Little Caesars on FB! I follow @littlecaesars on twitter! chicken, onions and extra cheese and sauce. I love black olives on my pizza. I like Little Caesars on FB. I like mushrooms on my pizza. I follow Little Caesars on Facebook under the username likwan. I follow Little Caesars on Twitter under the username likwan. 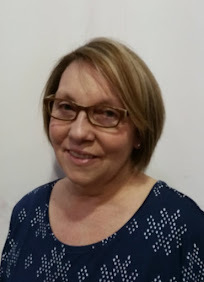 I shared this giveaway on Facebook at http://www.facebook.com/likwan/posts/168501586596997. I tweeted the requested message on Twitter at https://twitter.com/#!/likwan/status/168242712657670144.